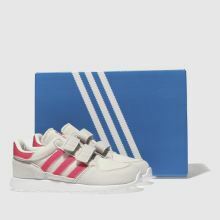 The Forest Grove has arrived, adding classic lines and an authentic feel to your kids' looks. 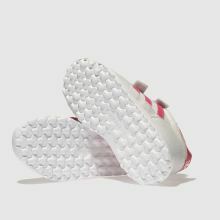 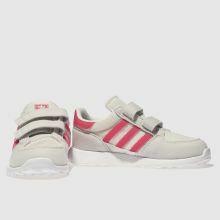 A white man-made upper with mesh overlays is complimented by bright pink adidas 3-Stripe branding. 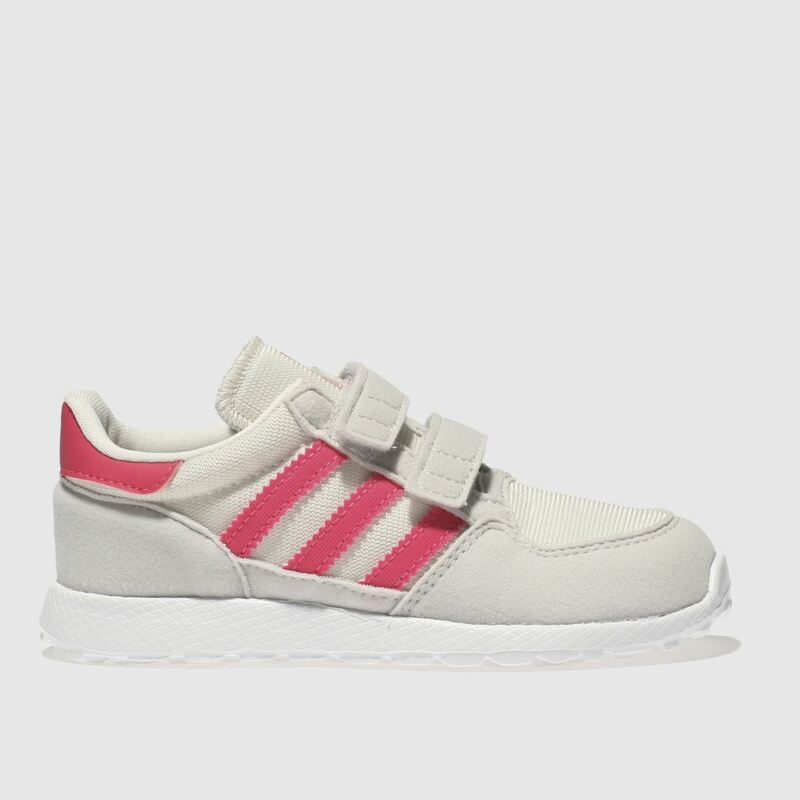 A supportive insole and touch fastening straps complete.